A key part to MESA’s success lies in the program’s long history of strong industry partnerships. Recently, Cisco Systems, Inc. has teamed up with MESA in a number of ways. 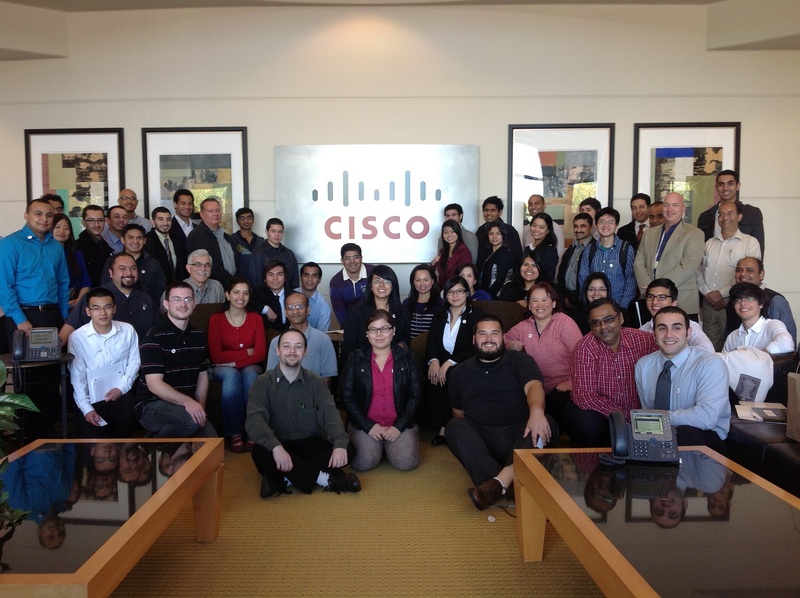 The technology company’s largest collaboration is the MESA Cisco Shadow and Mentor program. The program provides mentor and shadowing opportunities for MESA higher education students interested in pursuing careers in technology. In 2013 the first cohort of 30 pairs launched the effort, followed by 33 pairs in 2014-2015, and 51 pairs participating in today’s cohort. Of the Year 3 Cohort, 40% are Latino, 30% are Asian, 8% are Black, and 8% are Multi-Ethnic. Students spend half a day shadowing Cisco employees at the San Jose campus and later meet with their mentors monthly during the year. The return on investment is clear — after the first two cohorts concluded, six students were offered jobs at Cisco. The success of the program has led Cisco and MESA to share the model with others during the California STEM symposium in Sacramento two years ago. A similar presentation will take place at this year’s symposium in Anaheim. To further Cisco’s dedication to corporate responsibility, the company matches each employee volunteer hour with a $10 donation, which so far has added several thousand dollars to MESA’s coffers. Cisco will also hold a professional development day on Sept. 18, which will provide students the opportunity to network with other Cisco employees, participate in mock interviews, meet with Cisco recruiters as well as listen to Cisco leadership.